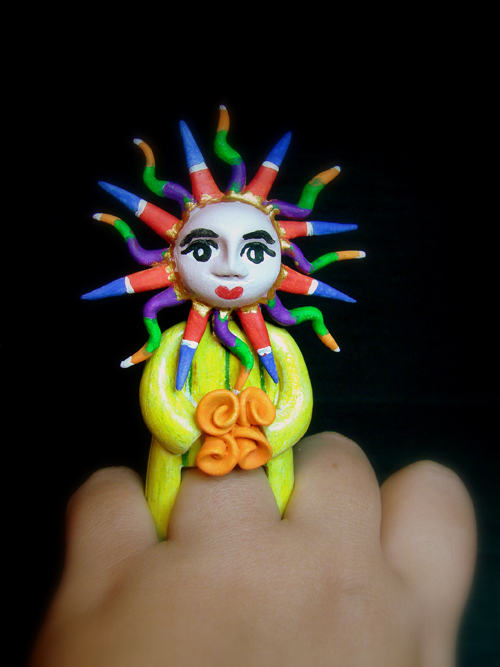 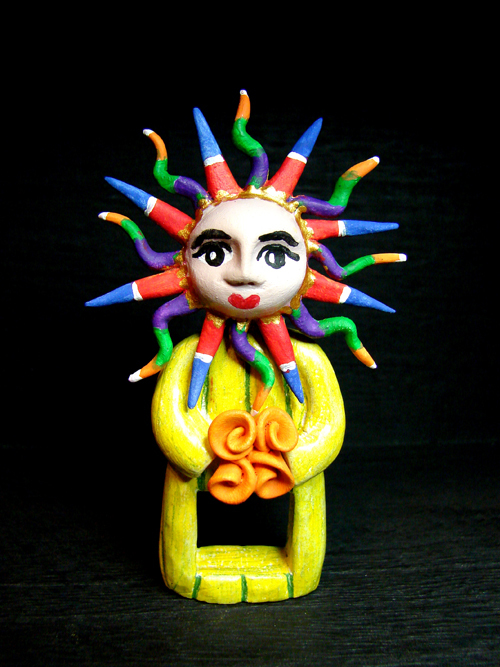 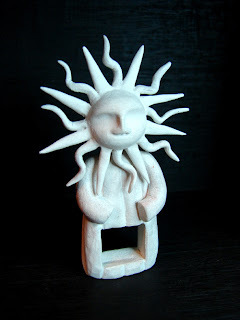 Continuing my journey in this great challenge, Ring a Week, I decided to create a ring inspired in the wonderful paper mache suns from Mexico. 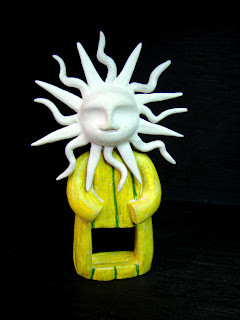 I wanted to make a piece and be able to add lots of colors to it, this is why I decided to make it with Creative Paper Clay. 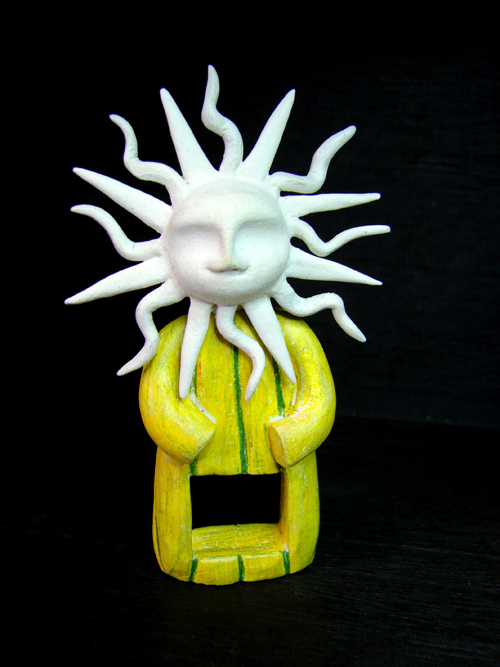 Yesterday I hand sculpted, carved the body and formed the face; Today I added the rays to the face and colored it. I am very pleased with how the ring looks like, I was not sure I could be able to make the sun the way I imagined it in my head but I think it looks nice and has the life and presence I wanted to transmit.